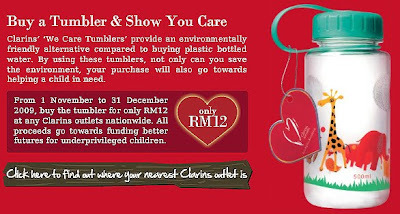 From 1 November to 31 December 2009, buy a Clarins We Care Tumbler for only RM12 at any Clarins outlets nationwide. All proceeds go towards funding better futures for underprivileged children. To read more about Clarins We Care click here to read the website. I care, DO YOU care? hehe... i bought mine last week!! So cute and not expensive, will buy one. ally: wow they mention in the workshop? pigita: ok u will like this 100% go to charity..
luckily u blogged it and reminded me... haha..
ally: Hebatnya workshop.. you're welcome. Go grab one before out of stock. 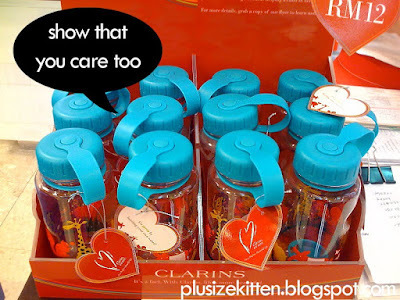 Last year the clarins we care tote bag ah, out of stock! Yes... i guess it will run out fast! As the price is affordable and what's more?? It's for CHARITY!! I missed out the plant they launch last few months! When i realized, they already ran out of stock liao!! now it's dead.. sigh.. i water everyday no use..
No la, I blieve the plant can grow well as my Gotu Kola bought at Clarins Counter grow quite well and become bigger and bigger. Just need water and sun only!!! 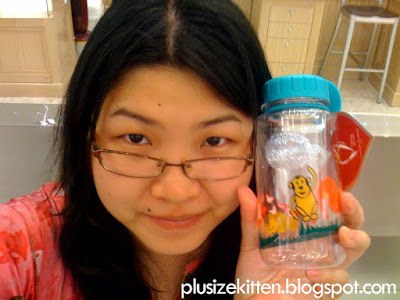 Oh...so cute...I almost forgot about it, luckily you blog about it and I shall grab it now. 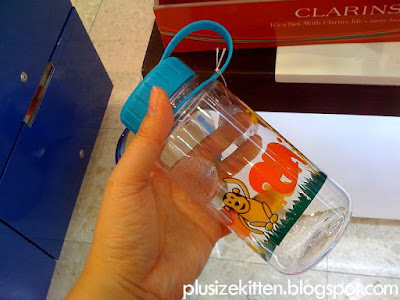 Cath J: it's cute for children bring to school also can. Pigita: =_= walao say like this!